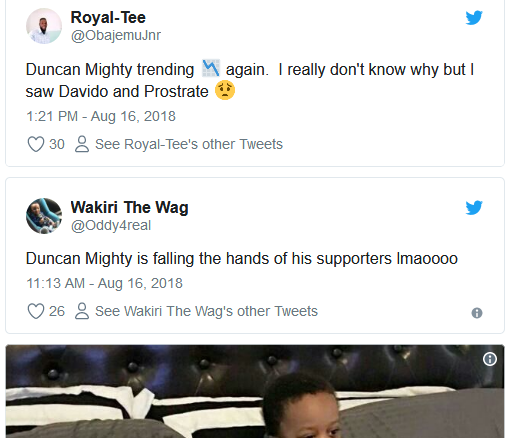 Home > PHOTOS > Nigerians React As Duncan Mighty Prostrates For Davido ! 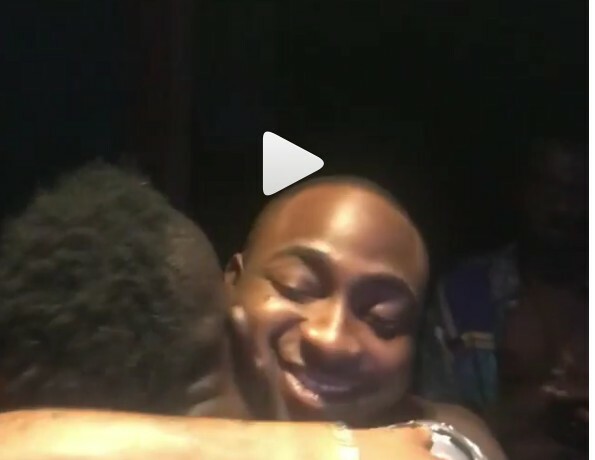 Nigerians React As Duncan Mighty Prostrates For Davido ! 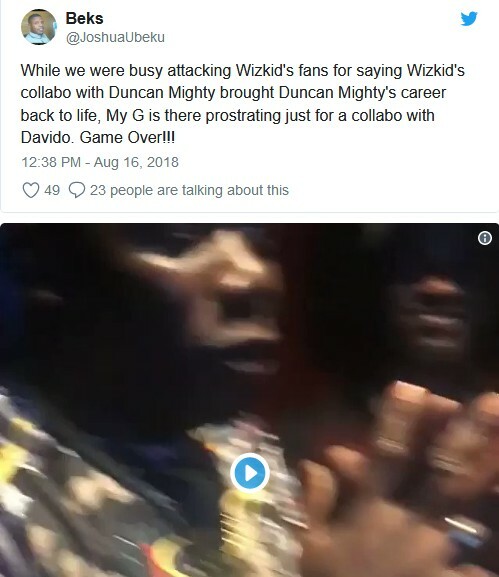 The rave of the moment, Duncan Mighty prostrates for Davido in a video he posted on his Instagram timeline and this has set the social media on fire. Nigerians on twitter are currently talking about Duncan Mighty, 34 and they are trying to figure out why he would make the attempt to prostrate for Davido who is just 25 years of age. Well, there seems to be a collaboration in the offing and Duncan Mighty couldn't seem to hold his excitement. 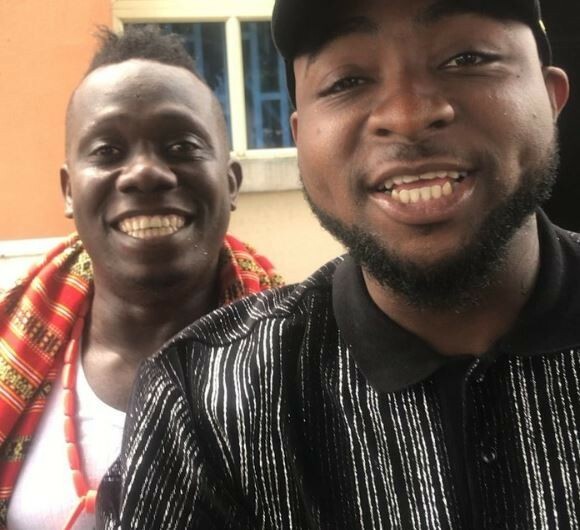 In the video, Duncan Mighty was appreciating Davido for doing a collaboration with him saying the new song 'will open up the entire Niger Delta region and set the pace for an unprecedented growth of the entertainment industry which will be the biggest non oil investment of the region this year'. BREAKING NEWS! HISTORY IS BEEN MADE AS DUNCAN MIGHTY COLLABORATES WITH NIGERIAN INTERNATIONALLY ACCLAIMED MUSICIAN @davidoofficial OBO & PERRUZI IN A MUSIC PROJECT THAT WILL OPEN UP THE ENTIRE NIGER DELTA REGION AND SET THE PACE FOR AN UNPRECEDENTED GROWTH OF THE ENTERTAINMENT INDUSTRY WHICH WILL BE THE BIGGEST POTENTIAL NON OIL INVESTMENT OF THE NIGER DELTA REGION.